2019 Editorial Calendar for Architectural Digest On Its Way Too You! Magazines release their editorial calendars at different times. Or we’re buried under research with other Editorial Calendar and general Media Contact research to remember to follow up. Today, one of our favorite magazines came in - Architectural Digest! Can’t wait to learn the monthly themes this magazine has coming up. So many angles as to why you could pitch a writer or editor about your business, if you had a vague idea of what resource or inspiration that would appeal to them at that time. The Media Contacts Database At Tin Shingle Is Getting A Total Refresh! Right now as we speak, the Media Contact Database at Tin Shingle is getting a total refresh and shakeup. With the media landscape changing so quickly as more magazines are abandoning traditional 12 month publication cycles for 10 months or no months at all, we are finding more and more valuable freelance writers and editors, as well as regular contributing writers at magazines and other forms of media, including podcasts, TV programs and even business websites that offer services but have invested in a content campaign. Our focus on the individual person working in the media profession is strengthening, as we want to highlight the different Media Outlets that these people work in. Therefore, we putting all of the Media Outlets onto the person’s page that they work for, write for, produce for, or host. For example: From Tin Shingle’s Media Contact Database, let’s look at Mandi Woodruff. Mandi works in the personal finance world. She is the executive editor at LendingTree.com, and the host and founder of the podcast, Brown Ambition, a show about money, career and business. She’s a gold nugget, and most likely, a pretty good person to pitch about money, business, and careers. 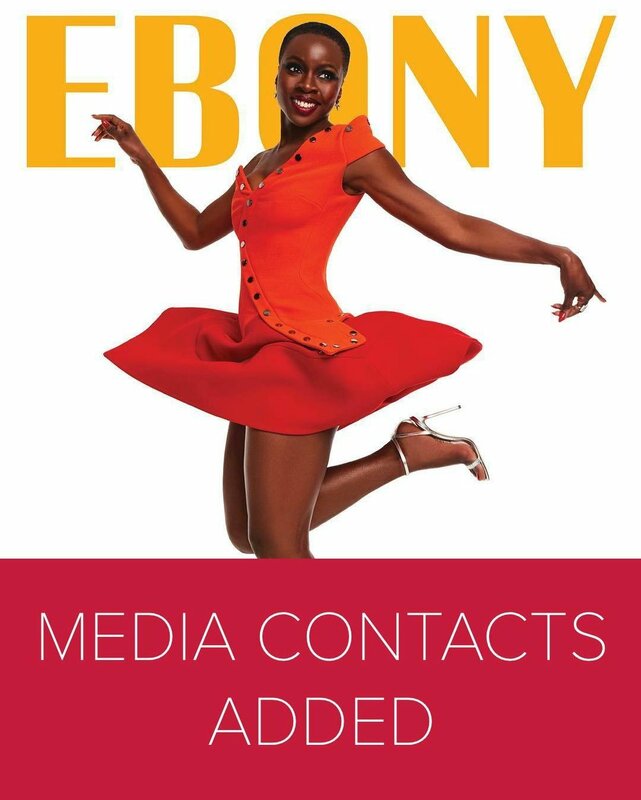 We tag each Media Contact with a unique identifier we call “Area of Interest.” When you’re searching through our lists, you can search by “Area of Interest.” Mandi has been tagged with: Finance, Personal Finance, Black Media, Black Voices. As a recommended Media Contact in Tin Shingle’s members-only database, you’ll find Mandi’s bio (as she wrote it from her Brown Ambition About Us page), as well as both of her job roles: one at LendingTree.com, the other at Brown Ambition. If she has different social media handles or email addresses that she may have recommended you use (or if she doesn’t recommend an email address, then we usually guide you to the writer’s Contact Us page on their website - those pages really are pretty effective). Mandi Woodruff has been reporting on finance and business for more than seven years. She joined personal finance startup MagnifyMoney in June 2016 as Executive Editor of their personal finance content. Less than a year later, the company was acquired by LendingTree.com. In her newly expanded role as executive editor, she leads a team of 20+ freelance writers, two full-time reporters and two editors to create stellar personal finance content for half a dozen LendingTree.com-owned websites. Mandi was previously the personal finance editor at Business Insider and a personal finance reporter for Yahoo Finance, where she hosted the weekly web series “Money Minute” and “The Payoff”. She’s an alumna of the Grady College of Journalism at the University of Georgia (go Dawgs!) and an active member of the National Association of Black Journalists, the New York chapter of NABJ, the Society of American Business Editors and Writers, and the Journalism & Women Symposium. The update to the Media Contacts is underway now, but you can still access them and dig around for your research. Thank you for your patience, and you encounter anything amiss, please Contact Us about it! If you’re not a member yet of Tin Shingle, join today for instant access to our media research lists! See what others have to say about their membership. The Community Boards are Tin Shingle's online forums. It's for people who like the Internet 1.0 (like those girls at The What). We've had it for years (before Facebook Groups existed! ), and it's a safe, quieter place to ask questions, get feedback, write a lot if you need to, and easily find older conversations and recommendations. Available to our Community Members and up. How It Works: Just log into your Tin Shingle account, and click on the tab "Community Boards." If you want to ask a new question or start a new conversation, you just click into one of the specialized forum places, like "Pitch Whisperer" or "SEO" or "Social Media" or "PR (Public Relations)" and click "Start a New Post" at the top of the page. For those who like the feel of instantly connecting and tagging one another, Tin Shingle does have a closed Facebook Group. Only Community Members and above are approved into it. You can ask questions and give and get support here too, or just shout "Hooray!" if something exciting happened that you want to tell us about. How It Works: You need to request permission to come into the group. We'll see it, and grant it (if you're a member - go activate your membership here)! If you're a Community Member and above, click right here to reach our Facebook Group and knock! Arguably one of our most powerful areas in our online forum in the Community Boards at Tin Shingle's website: The Pitch Whisperer. This is where you get to copy and paste your email pitch to a writer, editor or producer, and you'll get support from Tin Shingle's owner Katie, who is also a publisher of an online newspaper/blog that reaches 21,500 views per month. She sees a lot of pitches from people in the world (regular people and PR agents), and can identify what's working and not working. She also thinks up article ideas that work for a large audience. So she knows a good angle when she sees one. But this is just one person weighing in. Any member of Tin Shingle who wants to help out can give their feedback also. Helping others feels good. If you're a Community Member and above, click here to get to the Pitch Whisperer. Last week, a member wanted feedback on an email she was going to send to the media about the app she created to help people get their deliveries (versus having them be stolen off porches). After a little tweaking, the email pitch changed dramatically, and she even developed a second pitch for a totally new angle! You can see the transformation of that pitch here. We're changing it up here at Tin Shingle! The most important, game-changing thing we can do sometimes is to connect and talk - out loud. Not just typing. Therefore, we are alternating this TuneUp space to be one week the regular public TuneUp (stream all of the past TuneUps here), and the next week will be a Members Only TuneUp, where people who have activated a level of membership can come onto this call for a Group Strategy Session. Moderated by Tin Shingle's Katie Hellmuth Martin, you can bring 1 Challenge you are experiencing, or are challenging yourself to do. Usually this is a small group of people, and it is always a safe, supportive space. Each person brings 1 goal or challenge they want to unpack. Each person will get to present their challenge, and get feedback from others on the call on how to get there. Homework will be assigned to each person. You'll have your own homework assignment created just for you to get you closer to reaching your goal. PR: People who are trying to get featured in the media. PR: People who didn't realize that they could get featured in the media, and need an outlook adjustment! PR: People who are pitching the media but getting nowhere. SOCIAL MEDIA: People who are shy in social media and need a plan to put their business or brand out there. WEBSITE DESIGN: People who need feedback on their websites. SEO: People who want to elevate their SEO to a new level. Hey Hudson Valley Tin Shinglers! 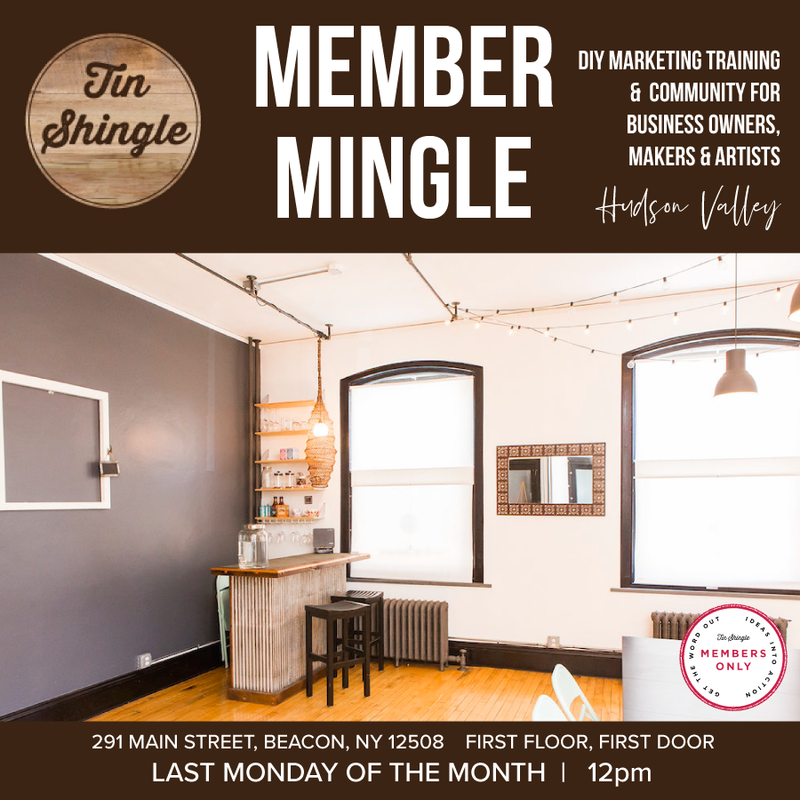 Tin Shingle's Member Mingle is a special opportunity for those members located in New York to meet in person and talk shop about questions in PR, Social Media, Marketing and SEO. Bring your burning questions or simply a desire to absorb new ideas from others and contribute your own. 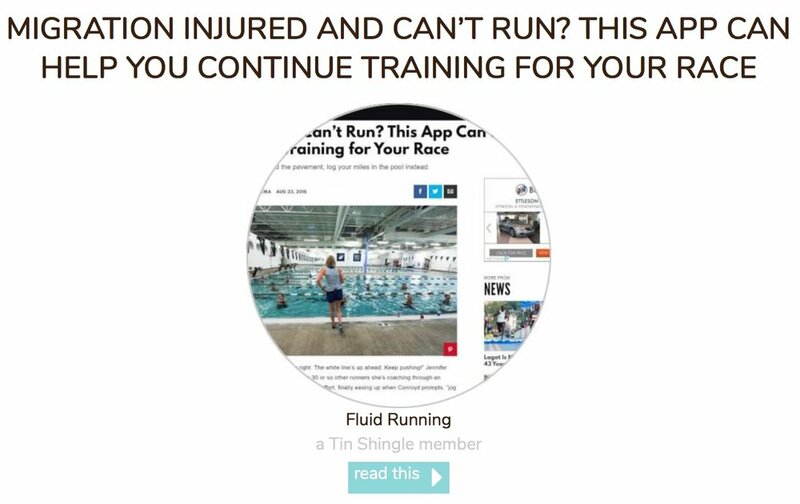 Membership with Tin Shingle at the Community Level 1 is required ($45/month), so go activate your membership if you haven't yet, and see you soon! TuneUps - Change 'em Up? Do You Want a Buzz Building Challenge? Do You Want a Buzz Building Challenge? About two years ago, at the request of a Tin Shingle Member out of Chicago, Lisa of Your Pet Chef (makers of raw dog food), we tried something new: A PR Challenge. We held it online using GoTo Webinar, and members could call in on their computers and we could all see each other, face to face. It was so fun to connect! It quickly morphed into a PR and Social Media Challenge. Many growth moments happened for the members on the Challenge. One former jewelry designer, Sierra Bailey of Manic Trout, put herself out there and got a national crafting TV show. Yeah - she did that! All because we were hashing things out on the call. One week (Wednesday, 3pm EST) you'd get the chance to call in to the show and watch or listen for free during the live broadcast of the Training TuneUp, like always. These are one-sided, so you can only type in your questions via the Question Box. Online Class Members (Level 3) are able to stream all of these Training TuneUps for free later on 24/7. Check in. What's been going on? How are your pitches? How is your social media? Did you send that newsletter? Goal check. What are your goals? Why are you doing outreach and marketing? Let's make sure you're doing the right things to get you what you need. Homework assignment. You've got two weeks to complete the assignment. You'll find out what it is in the Buzz Building Challenge. What do you think? Let us know in the Comments below with a Yay or a Nay. Nay: Nah, keep the Training TuneUps coming every week. I'll get things done on my own time. When you're doing your own PR and getting the word out, you need to think big. Of course you can get featured in a big magazine! You just need to pitch the right person. How do you find that right person? Tin Shingle's Media Contact Database makes your research a little easier. Do you want to be featured in the pages of Wired Magazine? Allure Magazine? Or more of a spiritual magazine? You can do that with our easy-to-use list that includes ways to search by subject or media outlet. 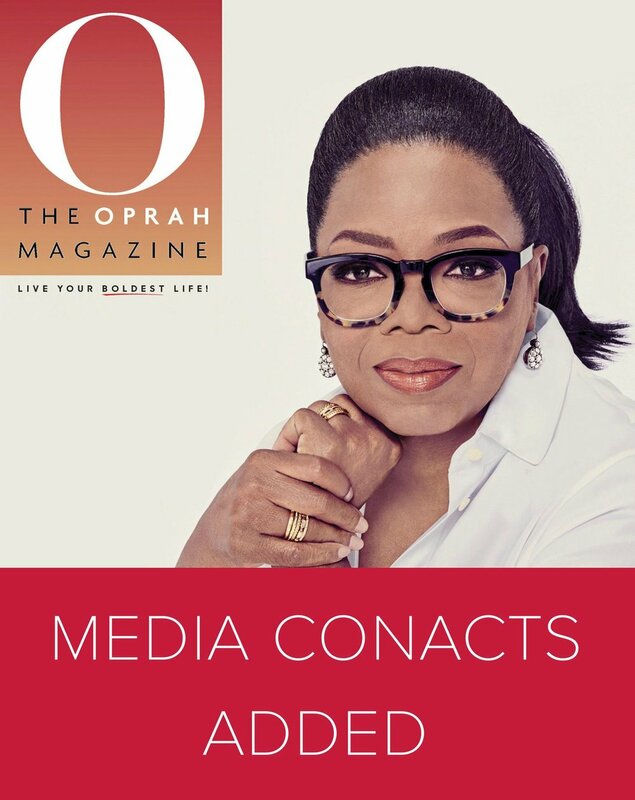 We have recently updated media contacts at O, the Oprah Magazine, Ebony, Shape, Elle Decor, and others. Now, you can see exactly when each name in our database has been updated because we added a time-stamp to each name with the date of which it was updated. Upgrade To Media Contacts Level 3 - Get 'Em - Then Downgrade to Community or Directories Level 1 or 2! 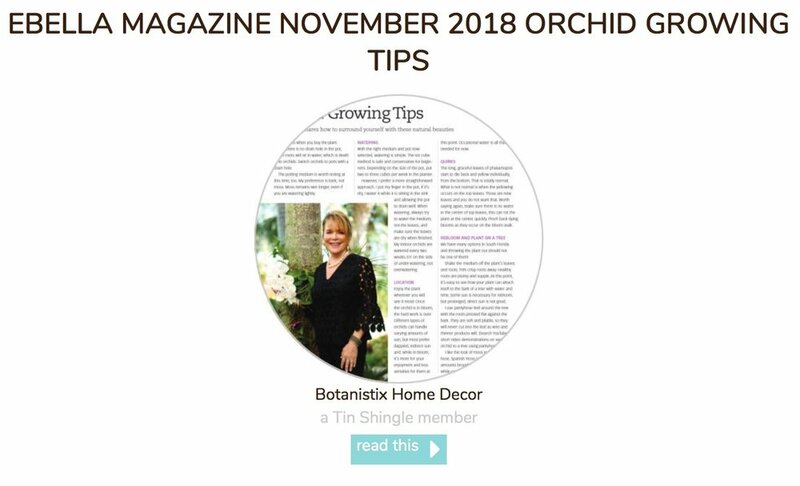 You won't always need access to the full collection of Media Contacts, but you'll still want to stay hooked in to Tin Shingle's Community for support - and showcase your website and offerings on Tin Shingle! You can do that! You can change your level of membership at any time from your Account Dashboard.